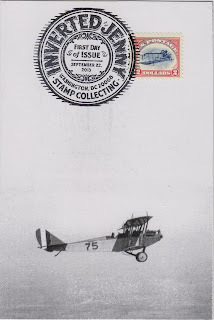 Recently I got back this "Flying Jenny" postcard from the USPS Stamp Fulfillment Services in Kansas City, MO after getting a First-Day-of-Issue postmark on the re-issued "Inverted Jenny" rare stamp. 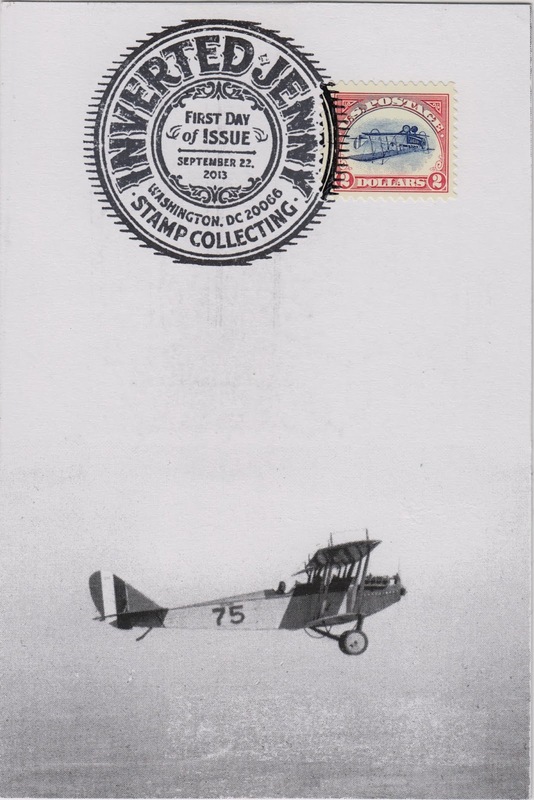 The image used on the postcard was a cropped version of a family photo in public domain by George Johnson, Aviation Section, US Army Signal Corps. taken in 1918. It shows a Curtiss JN-4 (Jenny) on a training flight during World War I. Other cards, sent in for the First-Day-of-Issue cancellation with similar designs, were addressed to Romania (US-2474578) and Taiwan (US-2452330). They are now expired, with postcard US-2452330 being replaced by a re-sent Christmas card. However, since it took a little more than a month to get the First-Day-of-Issue cancellations, the actually traveling time for those cards should be less than stated. The original cards may still arrive soon.